Charlie doesn't know why this is happening. He would give any thing to have an ordinary life. The problem: he doesn't belong in the world he knows as home. Alecia Stone has been in love with anything and everything paranormal for many years. She grad­u­ated with a BA in Film & TV and has worked in tele­vi­sion for a short period of time before branch­ing out into storytelling. When she isn't writ­ing, she enjoys going to the movies, lis­ten­ing to music, and travelling. 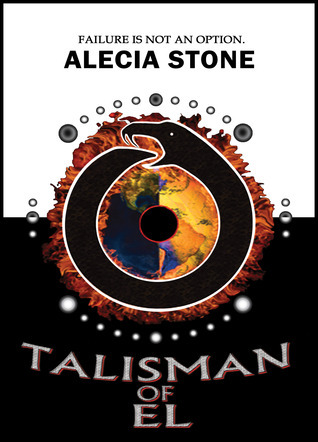 Talisman Of El is her first novel. She currently lives in England, UK. I like that it leaves you with a lot of questions. I'd like to find out more. Thanks. this looks like a great read! To be an outsider in the only place you know as home and no one else knows that you shouldn't be there makes for a huge open ended plot! This is gonna be bestselling! The story line sounds quite unique. I love that.